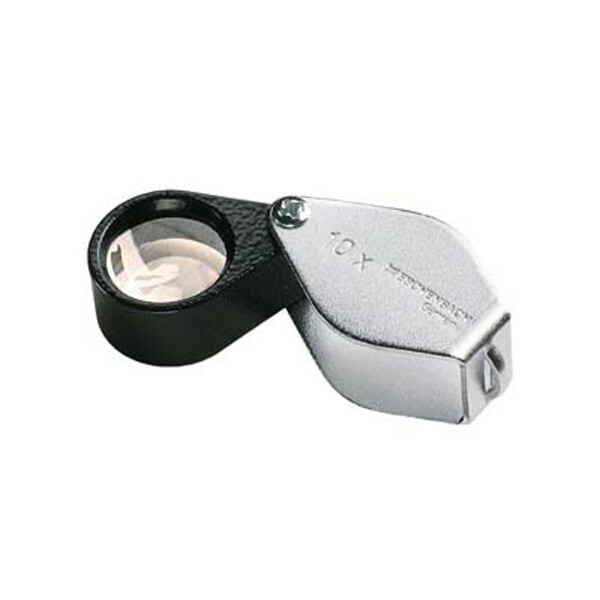 Eschenbach traditional folding magnifier provides the high power optics and durability to meet any industry standard. The unique achromatic lens system eliminates extraneous colors. It consists of coated lenses that are cemented together using different types of glass. The result is crystal-clear optics with no color aberration. Aplanatic lens, provide a distortion-free image. The two plano-convex glass lenses offer distortion-free, superior optics throughout the viewing field.